compLexity Gaming have embarked on a TI6 bound journey and have been creating quite a stir in their new season together. ProxyPL talked to coL.Limmp about compLexity, the team house, regional differences and his goals for the future. 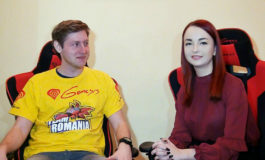 The Limmp interview was conducted by ProxyPL for DotaBlast, on January 12th. 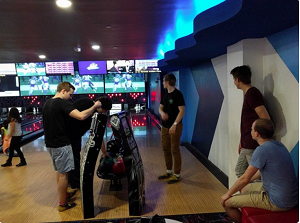 Linus “Limmp” Blomdin was a part of the stayGreen lineup that won five consecutive LAN events in 2013-2014. 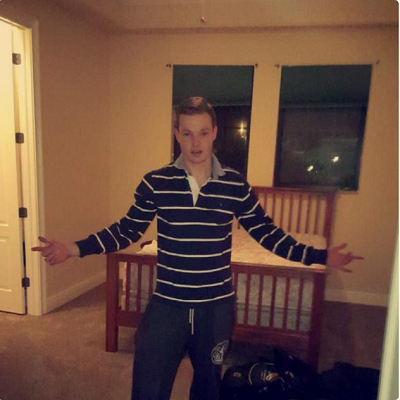 Since switching over to Dota 2, he played with Ninjas in Pyjamas along with teammate Simon “Handsken” Haag. 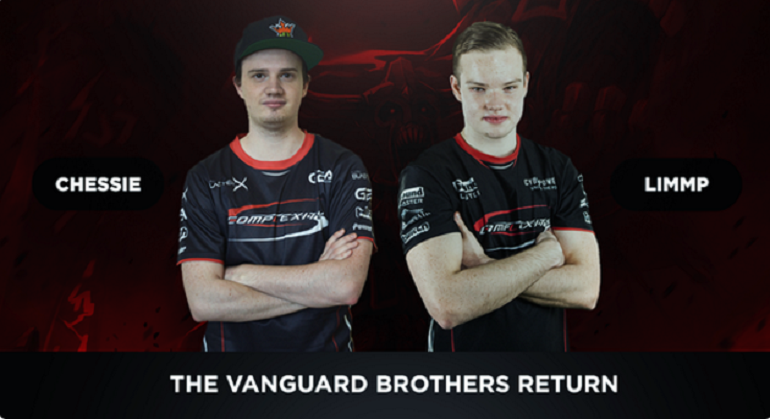 Limmp now also plays with his brother, Rasmus “Chessie” Blomdin, and former HoN teammates Kyle “swindlemelonzz” Freedman and Zakari “Zfreek” Freedman, in compLexity Gaming. The lineup has been going strong as of late, clinching qualifying spots for the StarLadder i-League StarSeries LAN, the DotaPit Season 4 LAN and, most notably, the Shanghai Major. Limmp has recently achieved the much coveted 8K MMR rating, joining the ranks of Amer “Miracle-“ al-Barqawi, Lasse “MATUMBAMAN” Urpalainen, and Omar “w33” Aliwi. DotaBlast/ ProxyPL: Hi, Limmp! How was your journey to Minsk? Other teams had their flights delayed. How was it for you? Linus “Limmp” Blomdin: Well, our journey was quite pleasant. The first flight and the whole journey was good. 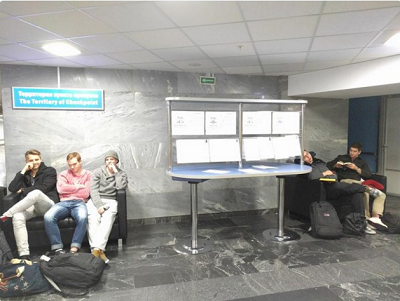 There really weren’t any delays, other than arriving in Minsk, but that was just customs. DotaBlast: Some time ago, your team secured Chinese visas for 10 years. How was that process? Also, why did you apply for visas before the Qualifiers, when you still weren’t certain whether you would go to the Shanghai Major or not? Linus “Limmp” Blomdin: First, we only got a “two entry” for the Swedish players, because we applied in America. The process was really stressful. We had to go to Washington, DC from Florida. We were on a really packed schedule flying to DC, then going to where we stayed to play the DotaPit matches. We then had to get up really early the next morning to go back and get the visas. We were all pretty sure that we weren’t going to get them, because they told us that we couldn’t apply in America, but they would do their best. We applied because we were going to MDL, so it was perfect that we got “two entry” visas for both tournaments. If we hadn’t qualified for the Major we would have had nothing to look forward to for a few weeks, so this was a big goal. DotaBlast: coL secured the 2nd American spot at the Shanghai Major a couple of days ago. There is a video of the team screaming and jumping after you won the last game. Did you guys feel like the favorites or the underdogs going into the qualifiers? Were the emotions running high because you didn’t expect to qualify? Linus “Limmp” Blomdin: I think we all felt that we were favorites going into this event. We performed really well going into this event, even though we had the ping disadvantage. Qualifying for the Shanghai Major was the first time that it felt really, really good, getting overwhelmed with emotions and that hype. We definitely expected to qualify, but it was the goal as a team, the first big tournament that we could qualify for. They [DC] are a really hard working team and, after playing against them, I feel like they should have been the team to qualify other than us. DotaBlast: What are your thoughts on DC not making the cut for the second consecutive time? They were the favorites to qualify from the Americas region both times. Linus “Limmp” Blomdin: I think they deserved to qualify. They are a really hard working team and, after playing against them, I feel like they should have been the team to qualify other than us. Going to bed, we expected to play Archon in the Lower Brackets Finals. In the US, we sometimes have to play against mediocre teams because the real competition isn’t available. DotaBlast: You have competed in both European and American Qualifiers for Valve sponsored events. What are the main differences between the regions? Is Europe truly tougher, or are they both a level playing field? Linus “Limmp” Blomdin: There are more teams in Europe that commit to Dota as a full-time job, as compared to in the US. It’s also easier to get better in Europe, when there are more top level teams to play against. In the US, we sometimes have to play against mediocre teams because the real competition isn’t available. DotaBlast: You were so close to making it through such qualifiers with NiP. Do you feel like you finally got what you deserved the whole time? Linus “Limmp” Blomdin: It definitely feels great to qualify for the Major, but I’m not satisfied yet. This was the first challenge in our journey, we have so much work to do to become a top team. Right now, I would say we are a top 16 team, but when the Major starts we aim to be top 6. DotaBlast: So, you don’t feel like compLexity is a top team yet? Where would you situate coL: top 10, top 15, or rather top 20? Linus “Limmp” Blomdin: Right now, I would say we are a top 16 team, but when the Major starts we aim to be top 6. DotaBlast: Alright, let’s switch gears a little bit and talk about your team then. 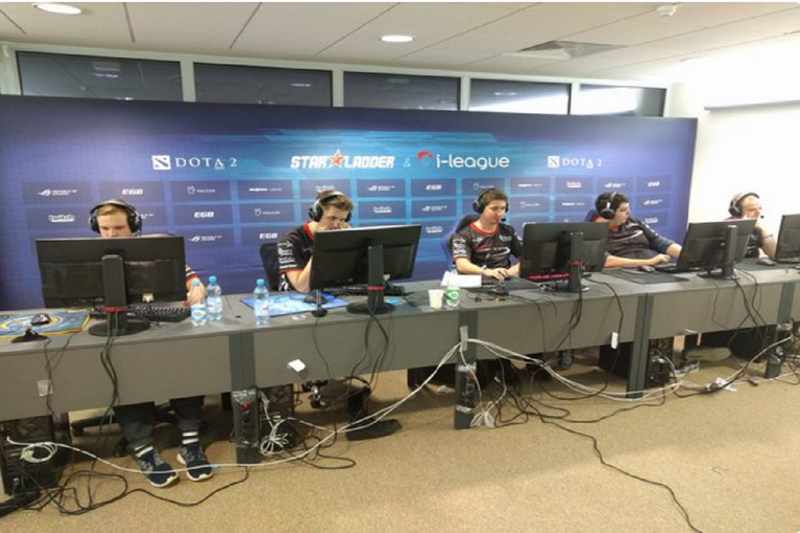 The current roster of compLexity has been formed for this Major. Who approached whom and how did it all come together? 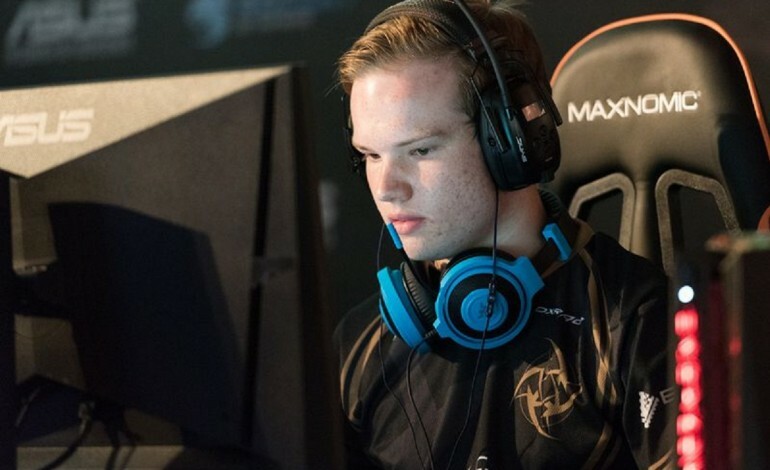 Linus “Limmp” Blomdin: When NiP disbanded, we had already had some issues for a while. We tried everything to make ourselves a better team. When we decided to disband, Chessie was in the compLexity house and I started talking with Swindlemelonzz and Chessie. They were not satisfied with their team, so Handsken and I saw a good opportunity to combine forces. DotaBlast: How is it to play with your HoN roster, basically, but in this “new era” of esports? Are the team dynamics the same? Are you guys more motivated? Are the stakes higher? Linus “Limmp” Blomdin: We have a lot to learn in Dota and we still have chemistry within the team, but we have a lot of work to do with team synergy. For example, we have to work a lot on our communication. The stakes are obviously way higher because there is so much more money than there was in HoN. We really want to prove to ourselves that we play well with each other. DotaBlast: How do you like compLexity’s team house? Do you often use all those nice facilities like the pool, finishing rods, and so on? Linus “Limmp” Blomdin: The house is amazing. We do indeed use both the pool and the hot tub constantly. It’s nice to go from the hot tub to the pool’s lower temperature and repeat. Also, we have a good setup for our playing area. We have an amazing cook, Josh, who cooks for us and keeps the kitchen clean. It helps a lot, because we are able to focus solely on getting better as a team. DotaBlast: Moonmeander revealed during the Frankfurt Major that one of the main reasons why he left compLexity was because Swindlemelonzz wanted $10,000 of what could be going into players’ salaries to be spent on the team house. Do you think the house is worth the money sacrificed from the salary or would you prefer to earn more? Linus “Limmp” Blomdin: I think it is totally worth it to spend the money on a team house, because it will make us a better team. That way we earn more money in tournaments! Also, we have a lot of fun in the house. Everyone can win against everyone right now, on this new patch, and every region prioritizes different heroes. DotaBlast: Let’s talk about StarLadder! Did compLexity have any time whatsoever to prepare for this tournament? Are you familiar with your opponents? Are you happy with your group? Linus “Limmp” Blomdin: We haven’t prepared for StarLadder at all, I would say. Our main focus has been on the Shanghai Major, and that qualifier only ended about 15 hours before our flights to Minsk. We have been watching the EU and CIS matches during the qualifiers and other events, so we do know what the other teams have been doing. I wouldn’t say we have super high expectations for this event, but I still think we can do well. I think both groups are pretty equal. Everyone can win against everyone right now, on this new patch, and every region prioritizes different heroes. I don’t really care which teams we have in our group. DotaBlast: What do you think about the tournament’s format – especially the six teams best-of-one round robin with three teams being eliminated? Linus “Limmp” Blomdin: It is a risky format for everyone right now, because of the new meta. I would prefer Bo2 series in the group stage, but that would be hard to play within the schedule. DotaBlast: Thank you for finding some time in your incredibly tight schedule! Any final words? Linus “Limmp” Blomdin: Shoutout to J. Schmidty, all of our fans, our organization compLexity, and our sponsor BlasterX. Thanks for the interview! Special shoutout to Kyle “Beef” Bautista for making the Limmp interview possible despite compLexity’s tight schedule. COL performed really well in the majors. Keep it up boys. Swindlezz was right, I would put him top 10 captain for this.